Dr. James Miller spent most of his career as an elementary school teacher, public school superintendent and regional Branch College Dean/Director across New Mexico. He retired from Education in January 2005. Since that time, has worked primarily in 1) rural water; 2) recycling and solid waste; 3) renewable energy development (solar, wind, biomass and natural gas); and 4) regional non-profit and Tribal economic development and social architecture including Tribal teacher education. Miller has had a career-long interest in the Adult Basic Education program. Miller has worked in renewable energy of various types since 1980, first in public schools, later as an energy efficiency inspector for the PNM Business Energy Efficiency program and as a grant writer/developer of community, residential and small business solar, wind, biomass and natural gas projects/programs primarily in southcentral New Mexico. His most recent project includes a proposed rural New Mexico electric vehicle (EV) charging station network. Miller has worked in various types of renewable energy since 1980. His RETA interests include diversifying the New Mexico economy, developing economically sustainable jobs in rural New Mexico, and playing a role in making New Mexico a leader in renewable energy production, transmission and storage for in-state and out-of-state energy markets. 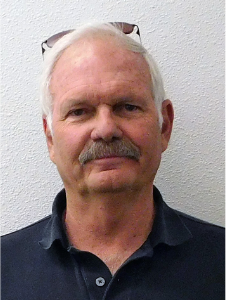 Miller has lived in New Mexico since 1954, primarily in Lincoln, San Juan and Dona Ana Counties. He served in the US Army 1971-73. He is married to a retired educator Nancy Miller and has four children/stepchildren and one granddaughter. Hobbies include gardening and landscaping, instrumental music, reading, tree care, fly fishing and elk hunting, stamp collecting. In his free time, he plays in a local brass instrument ensemble, serves on non-profit and church boards, and spends time in the outdoors in the Lincoln National Forest. RETA was created by New Mexico lawmakers to facilitate the development of electric transmission and storage projects. The result is that power can be moved across New Mexico and exported out of New Mexico.